This week had me playing in two huge concerts and I must say I’ve had an absolute blast despite all of the stress and hard work. I’m becoming addicted to these unfamiliar musical situations and opportunities to play with other people from the wider non-classical guitar music scene. The first concert was a fundraiser for the Music Conservatory of Westchester, where I teach. 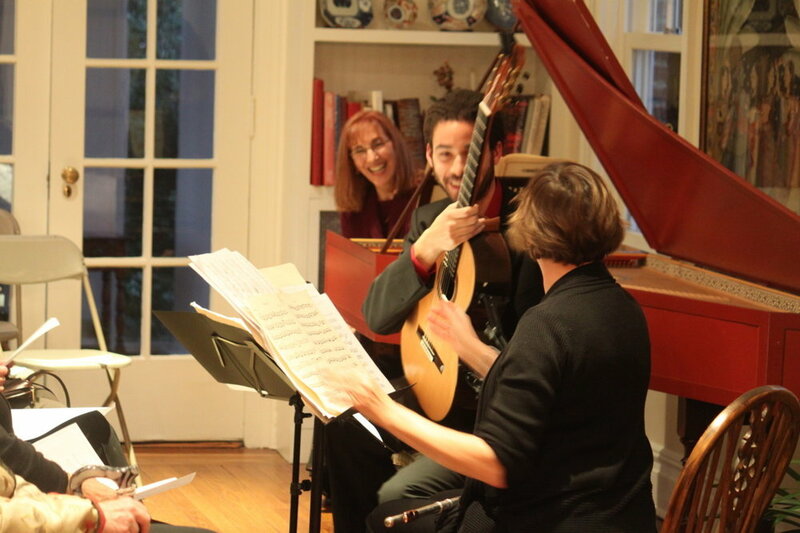 The dean, Jean Newton, invited me to perform with fellow faculty and virtuoso flutist Stefani Starin for roughly 30 highly accomplished people and trustees. After settling on some appropriate repertoire we were able to put on a really enjoyable and balanced evening of music, with Jean and Stefani playing a lovely Bach sonata in between. What was most enjoyable for me though was the set of Brazilian choros we ended with, that had a sort of free and improvised aspect to them that had the audience actually laughing aloud- in a good way! I’d never performed choros before and it was a great experience to play that music and be right there with the audience. 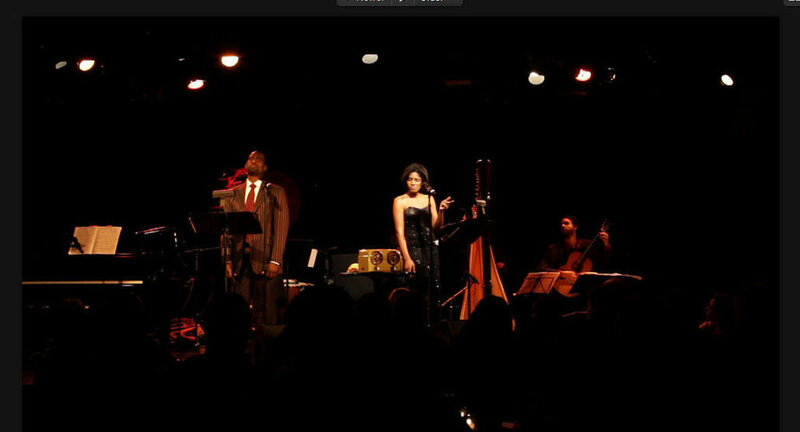 The next concert was at the renowned Le Poisson Rouge in NYC with the phenomenal singer and composer Alicia Hall Moran and her Motown Project ensemble. One of the greatest things about this project is that it forces one to be creative, spontaneous, and able to make something new every performance rather than simply going and playing your allotted notes at your designated time and calling it a day. There’s room to express oneself, linger, improvise, and genuinely surprise each other. Of course, that sort of spontaneity initially can be terrifying shocking for a classical player, but the fusion of classical lines with Motown and jazz improvisation led to several profound and extremely unique moments of music making and spontaneous audience clapping-along that made it all worthwhile.